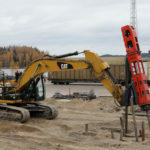 Established in 1993, Movax Oy is a privately-owned Finnish company which specialises in the design, development and manufacturing of excavator-mounted piling equipment with advanced control and information management systems. 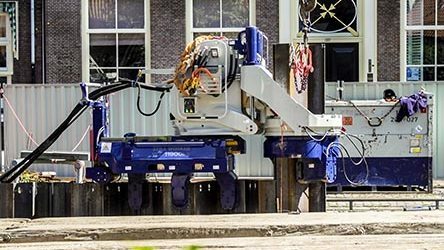 Side grip pile drivers for handling, pitching, driving and extracting: sheet piles, H-beams, trench sheets, tube piles and timber piles without the need for manual handling, extra machinery or manpower. 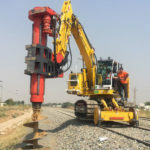 Excavator mounted pre-augers support the operations of side grip pile drivers and/or piling hammers in difficult soil conditions. 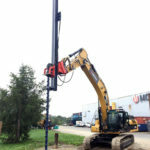 Excavator mounted piling drills for cast in-situ (concrete) piling and other drilling work. 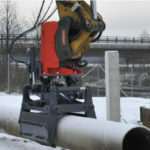 Excavator mounted manipulator handles piles, gantries, poles and masts efficiently.